Consumer group CitizenWatch Philippines has asked the DOE and industry players to explain the real power supply situation after several areas in Luzon suffered power outages for two days amid the scorching temperature. MANILA, Philippines — Calls for an investigation and accountability are mounting amid concerns over a looming power crisis after rotating brownouts were implemented in the Luzon power grid last week despite the assurance of sufficient power supply from the Department of Energy (DOE) this summer. “The issuance of two consecutive red alerts was more than those issued in the previous years. In 2018, the Luzon grid was not placed under any red alert status, while in 2015 and 2017, only one red alert was announced,” CitizenWatch Philippines convenor Hannah Viola said. The group acknowledged that while the efforts of the DOE to provide up-to-date online information on the supply situation are commendable, its pronouncements may not be truly reflective of the current situation. The National Association of Electricity Consumers for Reforms Inc. (NASECORE) also raised serious concerns about the rotational brownouts that hit Metro Manila and nearby areas. NASECORE said the assurances given previously by energy department officials is belied by the current power situation affecting millions of electricity consumers. “This is unacceptable as it shows the need for a more transparent and prudent probe not only of the major stakeholders of the country’s electric industry, but also on the basis of making such statements,” former NASECORE president Pete Ilagan said. He also said the Joint Congressional Power Commission (JCPC) should take notice of this most urgent situation and launch an immediate inquiry to determine the true cause of this situation. In response, the Senate and House of Representatives are launching their own investigation on the recent Luzon power outage. “The brownouts felt by our constituents in Luzon these past few days is totally unacceptable. The Department of Energy assured us even before the start of summer that there will be enough power supply in the country. If there’s enough power supply, then how come there are towns and provinces in Luzon that are experiencing rotational brownouts,” Senator Sherwin Gatchalian said. “Definitely, heads must roll this time. We owe it to the power consumers to give them accurate information on the power situation in the country. It looks like the DOE over estimated the available capacity we have,” he said. The DOE, however, said it only gave out assurances based on the existing capacity when the statement of sufficient power supply was announced. DOE undersecretary Felix William Fuentebella said they only base their announcements on data on-hand at that time. Early on, the DOE assured that the Luzon grid would remain in normal supply condition this hot season amid a weak El Niño, with a caveat that no other power plants – other than those allowed to conduct preventive maintenance – areshutdown. Before power outages occurred, a total of 827 megawatts (MW) were already shaved off from the power grid with the previously approved maintenance schedules of several power plants. But last week, five major power plants--with capacity totaling 1,502 MW--tripped due to various reasons such as boiler tube leak, which happens as a result of wear and tear because of erosion and corrosion during use. With over 2,000 MW lost to the grid and a steady increase in peak demand due to the hot weather, red alert warnings were raised in the grid for two consecutive days and two- to three-hour rotational brownouts were implemented across the Luzon last Friday. The National Grid Corp. of the Philippines (NGCP), private distribution utilities like Manila Electric Co. (Meralco) and electric cooperatives are forced to implement manual load dropping (MLD) or rotational brownouts within their respective franchises due to the limited supply and to maintain the integrity of the whole grid. “The announced rotational brownouts are due to insufficient power supply or operating reserve which is beyond the control of electric distribution utilities,” the Philippine Rural Electric Cooperatives Association Inc. (Philreca), the national association of ECs, said. It further said power coops are mainly responsible for the distribution of power being generated by power generation companies and quickly pointed to the DOE, which is mandated to ensure sufficient power supply. Cognizant of the inconvenience caused by the power interruptions, the Philippine Independent Power Producers Inc. (PIPPA), the organization of the country’s power producers, has appealed for the public’s patience and trust as its member generators experiencing “technical difficulties” while working to address their respective issues. “PIPPA would like to assure all the consumers that its member generators are working doubly hard and exerting their best efforts to supply and produce enough electricity,” it said. “In particular, for those with forced (unplanned) outages, rest assured that the member are trying to address the problems and are committed to be fully functional as soon as their issues are resolved, in compliance with the directive and mandate of the DOE,” the organization said. However, the power producers are responsible for causing power outage. “Accountability and transparency for power interruptions and outages should be in force. This especially holds true on the part of the generation companies as their generation charges comprise a large chunk of what the consumers pay for in their electricity bills,” CitizenWatch’s Viola said. Last month, three yellow alert notices were raised for the grid on March 5, 7 and 8. And at start of April, the yellow alert status has consistently been raised but worsened to red alert warnings in the power grid. These instances of severe power reserve deficiency would translate to higher electricity rates due to an increase in wholesale electricity spot market (WESM) prices, Meralco senior vice president and head of utility economics Larry Fernandez said. In fact, Meralco customers will already feel the effect in their April electricity bills which will reflect a 6.33-centavo per kilowatt-hour (kwh) increase, partly because of higher WESM charges. When there is not enough supply in the grid, distribution utilities turn to the WESM for electricity source. Citing a provision in the Electric Power Industry Reform Act (EPIRA), Viola said power producers have the obligation to maintain a competitive and open generation of electricity to avoid abuse of market power and anti-competitive behavior. “This obligation is underscored now more than ever as electricity rates are set to increase this month. This price hike is attributable to higher charges from the Wholesale Electricity Spot Market from the tight supply in the Luzon grid and the weakening of the peso against US dollar,” she said. 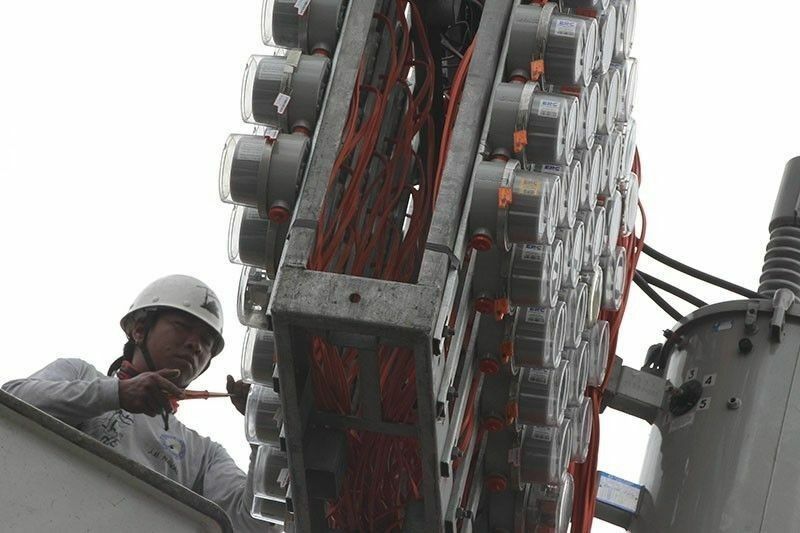 However, the DOE is only the policy implementing side and it leaves it up to the Energy Regulatory Commission (ERC) and the Philippine Competition Commission (PCC) to determine whether there is, in fact, collusion in the events that led to the power outage and the penalties for it, Fuentebella said. The DOE, for its part, already issued show-cause orders to generating companies (gencos) on their unplanned plant outages. Power generators were made to explain in writing and the DOE’s Electric Power Industry Management Bureau will validate their claims. Amid the pressing need for more power plants to meet the growing demand, CitizenWatch also cited the need to resolve the delays in the processing of applications for new power plants at the regulatory level. It said that while many energy projects are in the pipeline, these are not being realized due to the delays in the ERC. Based on reports, Meralco chairman Manuel V. Pangilinan said the solution to the power supply shortage is to develop more power plants. Currently, Meralco’s six out of seven power supply agreements (PSA) are still with the ERC after facing strong opposition which led to the issuance of the Supreme Court to temporarily stop the controversial deals until it is heard. The seven PSAs of Meralco — which involve 3,551 MW of supply from coal-fired power plants — did not go through competitive bidding and were filed a day before the CSP policy took effect on April 30, 2016. Moreover, majority of the power projects are owned and partly owned by subsidiary Meralco Powergen Corp. But in putting up new power plants, Murang Kuryente Partylist (MKP) said more renewable energy (RE) projects should be developed, not coal. “Mr. Pangilinan is right, we need new power plants, but not the power plants he is thinking of – we need cleaner and more sustainable energy sources that are immune to the vagaries of currency fluctuations, more resistant to mechanical breakdowns, and cleaner for the environment,” said MKP nominee and longtime energy advocate Gerry Arances.